The folks in our churches, synagogues, mosques, temples and other gathering places for our fantastic diversity of religious organizations do a lot to help our communities and neighborhoods. Often, however, these institutions find it hard to budget for facilities maintenance, including their parking lots and walkways. Unfortunately, not making room in the budget for these things can be a hazard and ultimately get in the way of many of the important things your organization wants to do for the community. 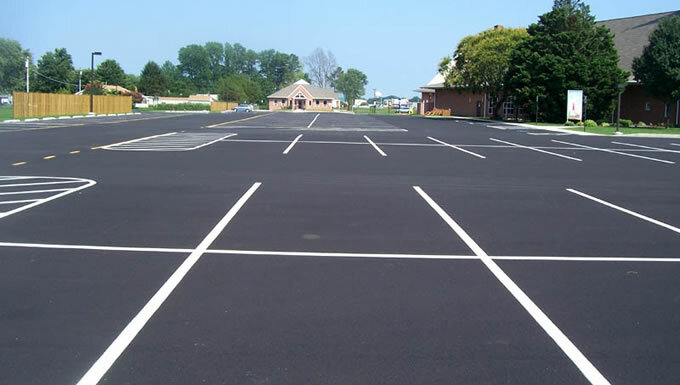 Luckily, Espina Paving understands and provides economical Northern Virginia asphalt maintenance services for religious institutions around the area. Budget Friendly—It goes without saying that it’s far less expensive to “prepare and prevent” than to “repair and repent,” and that goes for our asphalt maintenance services for religious institutions too. Assigning a responsible person in the congregation to be in charge of noticing debris, cracks, spills, standing water, weed encroachment and other potential problems in the parking lot or on asphalt walkways can help you save money in the long run. Catching these problems early enables us to take steps to prevent worse damage, which can be more costly to repair and pose hazards for your community. Caring for the Environment—For the Beauty of the Earth, our asphalt maintenance services for religious institutions goes incredibly light on the environment, from start to finish. Espina Paving recycles literally every inch of old pavement or “waste” being removed from a job and can turn it into newer, better, stronger materials for brand new paving projects. Nothing goes to waste. Furthermore, Espina Paving uses new, green paving technologies that are built into the foundations of new asphalt paving structures that actually helps to filter the rain and snow runoff going back into the water system so there is less pollution in our local environment. And that is something the entire congregation can feel good about.